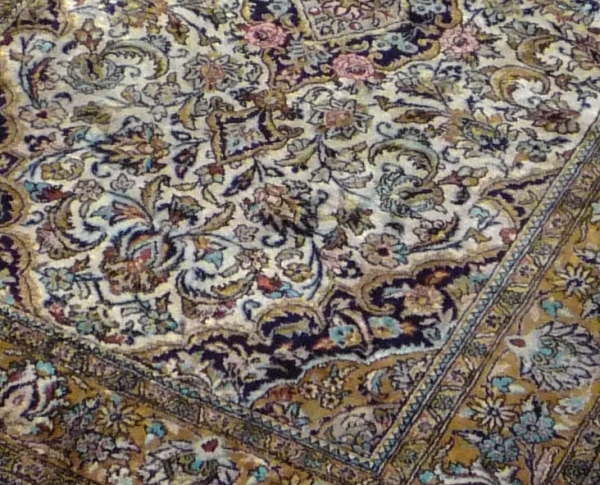 Qum: Religious capital of Iran and produces modern rugs. A city of northwest central Iran which in famous for very finely knotted silk rugs. Production began in the 1930's and most popular designs include floral medallions, all over designs, trees of life, botehs and compartment designs. 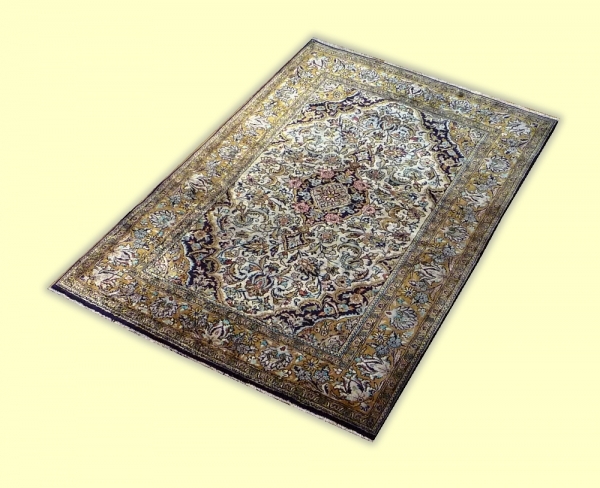 Many silk rugs were woven and average knot count is over 300 asymmetrical knots per square inch.